Review: Giant Squid, 'Cenotes' The nautically themed atmospheric metal band is a regular Jules Verne for headbangers' row. Giant Squid's new album, Cenotes, comes out Oct. 25. Metal shouldn't be homework, but sometimes the rewards outweigh the research. Hail of Bullets recounts histories of WWII through the growls of a death-metal band. Botanist foretells the plant apocalypse, armed with drummed paradiddles and a hammered dulcimer. And the atmospheric San Francisco metal quartet Giant Squid? It's all aquatic. 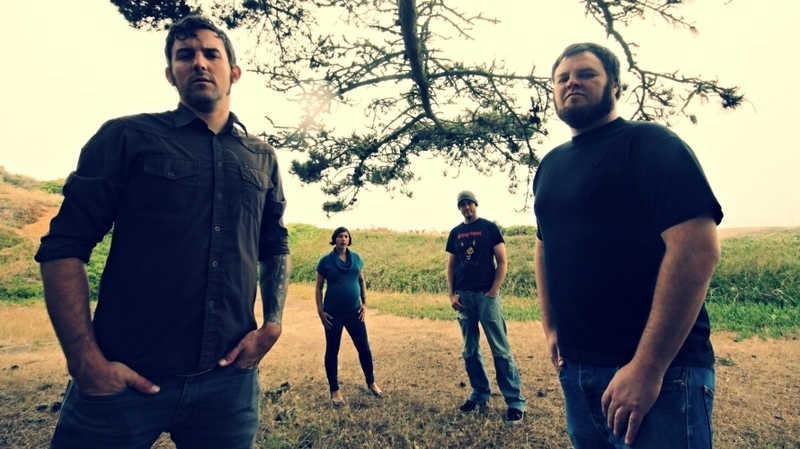 All of these bands use themes to tell stories larger and deeper than themselves, and Giant Squid uses water to convey life and suffering on its third album, Cenotes. "The world as we know it will flow past their teeth" — that's how Giant Squid vocalist, guitarist, nautical nerd and visual artist (that's his beautiful handiwork on the cover) Aaron Gregory ends the opening song, "Tongue Stones (Megaptera megachasmacarcharias)." That long, scientific parenthetical is the order of humpback whale, or at least "Megaptera" is, and in that whale "we are debris from which god's hands filter feed." Throughout the song, cellist and vocalist Jackie Perez Gratz (Grayceon, Amber Asylum) draws out a Middle Eastern melody over moody, Slint-like basslines before the band lunges forward like Neurosis in a squall. It's heavy and foreboding, but folkloric and didactic in its storytelling — a Jules Verne for headbangers' row. Oceanic descriptors aside (and to be expected), Giant Squid fully inhabits this realm, shifting through moments of tumult with grace in just five songs and 35 minutes.